Protecting Oklahoma’s farmers and ranchers. 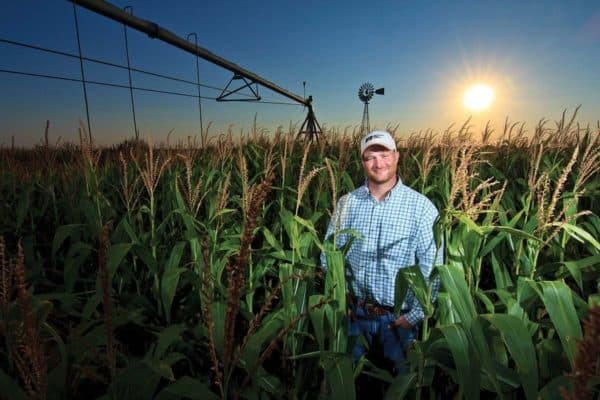 From sun up to sundown, no one works harder than Oklahoma’s farmers and ranchers. OKFB provides peace of mind with a full line of farm & ranch insurance offerings, protecting your assets and allowing you to get back to what’s important. As your trade grows and evolves, rest assured — we’ll be right there with you. Dwelling insurance covers the structure used as your primary residence. Other Structures can cover non farm-use structures on the same lot as your dwelling, like a detached garage. This coverage option does not cover your primary residence. Additional Living Expense coverage covers day-to-day costs, such as charges for temporary housing, incurred in the event that you and your family can’t live in your home due to a covered loss that makes your dwelling uninhabitable. Farm Personal Property insurance covers farm machinery, equipment, supplies, livestock, hay, grain and other miscellaneous property owned and used in farming and ranching. Farm Buildings and Structures Insurance covers farm use structures not used as your primary residence such as, barns, corrals, bunkhouses, silos or various other structure types. Medical Payments To Others insurance can cover limited medical payments to those who were injured while on your property regardless of fault. Personal Liability insurance can keep you covered in case you become legally liable for property damage or bodily injury. Farm Employers Liability insurance provides compensation to farm workers you employ and are legally obligated to cover in the event of an injury. Farm Employees Medical Payments insurance covers limited medical expenses incurred by farm employees while working for the policyholder. Animal Collision insurance provides compensation for the death of livestock after being struck on the road by a vehicle not owned by the policyholder. We offer a range of premium discounts to Farm & Ranch policyholders who qualify under the programs listed below. If your home is 10 years old or less, you may be eligible for a discount. If you have an auto policy with OKFB you may be eligible for a discount. We offer many ways to conveniently pay your farm & ranch premiums. Choose from a full payment, quarterly payments or a monthly automatic draft from your bank account. Check with an OKFB agent to see which option may be best for you. Don’t fret – We understand life happens. That’s why we allow our policyholders to easily update their payment preferences. Contact your OKFB agent to make a change.